Not all lawnmowers have been created equal, and we are proud to stock some of the best petrol lawn mowers on the market. One thing that unites these products is the flexibility, power and convenience that they provide to customers, as they’re not tethered by a cord and can be used freely to cut even large stately lawns. Through our ongoing partnerships with the globally-renowned Hyundai and Ryobi brands, we’re able to offer a large selection of petrol lawn mowers that can cut your grass with a high level of precision. Including self-propelled models to engine-powered petrol mowers, we’re confident that you’ll find everything that you need or more on the SGS website. Our strategic partnerships have helped to refine and empower our range, creating one of the finest selections of petrol mowers on the market. 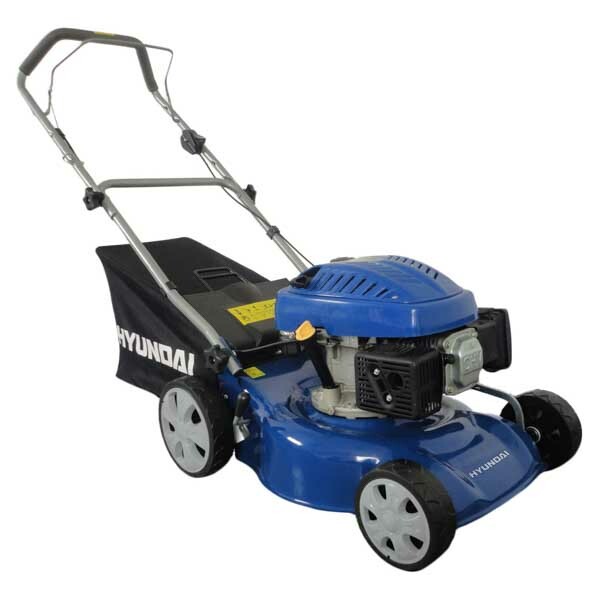 Our Hyundai petrol mowers are partially defined by their powerful engines, which enables them to cut through even overgrown lawns with incredible speed and efficiency. There’s far more to these products than meet the eye, as they also boast a level of accuracy and precision that contributes towards a neat and tidy lawn. To aid this, most of our petrol lawnmowers offer an adjustable cutting height of between 17mm and 75mm, along with a generous cutting width of 18 inches to help you achieve the look that you desire. In the case of Hyundai’s HYM460SPR Self Propelled 135cc Petrol Roller Mower, you can also benefit from an extremely economical 4-stroke engine. This enables you to strike the balance between power and energy efficiency, which is particularly important for professional gardeners and those who offer a service to private clients. 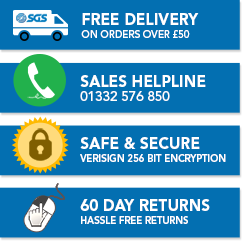 As if this was not enough, you’ll also qualify for a two-year standard domestic warranty that provided by the manufacturer when you buy with SGS. This will give you peace of mind, particularly on higher price items. With both self-propelled mowers and more powerful petrol models available on our website, you can also choose a product that suits your budget and existing garden space. In some cases, you may be a little unsure about which type of petrol mower is suitable for your precise application. Don’t worry, you’re not alone, and our experienced team of technicians will have you covered with the answer to any question that you want to ask. So, get in touch today and move one step closer towards purchasing your dream lawn mower. Chainsaws can be used to cut down tree stumps and even trim overgrown hedges, but only if you know how to set it up. This guide will help you on your way. If you also own a garden strimmer, you may not realise how versatile this tool is. Read this guide to see the diverse range of jobs it can manage. Are you just starting out? If so, we’d recommend checking out this guide that features the best tools for getting your garden in shape.